What does, "I plead the Fifth" mean? According to a disappointing decision from the Ninth, that remarkably clear phrase is ambigious (at least, it isn't objectively unreasonable to label it ambigious). See Anderson v. Terhune, __ F.3d __, 06 Cal. Daily Op. Serv. 18387 (9th Cir. Nov. 8, 2006), opinion available here. Judge McKeown (left) calls the panel (Kozinski / D. Ct. Hogan) out on the case, in a particularly persuasive dissent. Players: D. Ct. Hogan authors, Kozinski concurs, McKeown dissents. Facts: Anderson was convicted of special circumstances murder in state court. Id. at 18391. Evidence at trial suggested that he got into a beef with a friend who showed up dead: DNA and other evidence tied the murder to Anderson. Id. at 18383. After interrogation by cops, Anderson eventually proclaimed, “I plead the Fifth.” Id. The cop countered, “Plead the Fifth. What’s that?” Id. Anderson was interrogated further, and finally confessed. Id. at 18394. The district court denied Anderson’s habeas petition. Issue(s): “Anderson asserts that he was denied his constitutional right to remain silent during this exchange. The state court concluded that while the defendant articulated words that could, in isolation, be viewed as an invocation of his right to remain silent, given the totality of the circumstances, the defendant did not intend to terminate the interview.” Id. at 18394. Held: “[In light of AEDPA] [w]e’re thus left with only two ways to reverse: First, we would have to find that the state court’s factual findings were unreasonable, and petitioner rebutted them with clear and convincing evidence. Or, in the alternative, we would have to hold that this determination was a question of law, and the state court’s decision unreasonably applied clearly established federal law. . . . Here, neither is the case.” Id. at 18397-98. Of Note: Judge McKeown tears this decision apart in her dissent. As she explains in her opening salvo, “It is likely that few Americans can profess fluency in the Bill of Rights, but the Fifth Amendment is surely an exception. From television shows like ‘Law & Order’ to movies such as ‘Guys and Dolls,’ we are steeped in the culture that knows a person in custody has ‘the right to remain silent.’ Miranda is practically a household word. And surely, when a criminal defendant says, ‘I plead the Fifth,’ it doesn’t take a trained linguist, a Ph.D, or a lawyer to know what he meant.” Id. at 18399-400 (McKeown, J. dissenting). “It is rare to see such a pristine invocation of the Fifth Amendment and extraordinary to see such flagrant disregard of the right to remain silent.” Id. at 18400. “What about the words ‘I plead the Fifth’ would be unclear, ambiguous, or confusing to a reasonable officer?” Id. at 18405. McKeown would grant the writ despite AEDPA: “Looking at this case through the AEDPA lens of deference does nothing to change my conclusions. The state court’s decision to ignore an unambiguous declaration of the right to remain silent is directly contrary to Miranda.” Id. at 18407. She’s right. How to Use: This case must be strictly limited by the “considerable deference” afforded state decisions on habeas review; the decision is not controlling in federal Miranda litigation. Id. at 18397. As Hogan cautioned, “If this case were not before us on 28 U.S.C. § 2254 habeas review, we might be writing a very different opinion. There’s definitely more than one way to interpret [the] interrogation. And, the state court’s interpretation might not be the most plausible one. But in federal habeas proceedings under AEDPA, great deference is given to state court factual and legal determinations.” Id. at 18397 (footnote omitted) (emphasis added). Don’t permit an AUSA to argue that this case bears on the conditional invocation of Miranda on a straight federal case: it doesn’t. For Further Reading: McKeown hales from Casper, Wyoming – and those origins echo in her oral argument questions and pragmatic approach to cases. See profile here. The first female partner at Seattle’s Perkins Coie, she comes from a civil background of intellectual property work. Id. Like Judge Berzon, however, she’s shown a real willingness to delve into unfamiliar areas of law – she’s a frequent author of criminal decisions, see blog here, and has written some excellent immigration opinions. See blog here. Given this track record, she is – almost – forgiven for her Carreno decision. See United States v. Carreno, here. 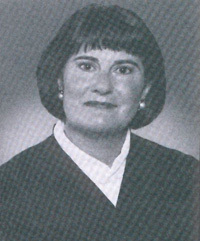 District Judge Hogan wrote the majority opinion, not Kozinski. Anon., thanks for the correction. Case o' The Week: AZ. D.V. not § 16 D.V.